It’s a big question: would it be cheaper or advantageous to create and implement your own disaster recovery plan or have a dedicated disaster recovery as a service (DRaaS) provider manage it? There are many facets of a disaster recovery (DR) that need to be considered. In some cases, the DIY route could be straight forward but in others it could end up adding to your expenses instead of reducing them. Think of the costs of setting up a DR location, maintaining upgrades and patches in both locations, and the testing of the recovery location, the turnaround time of a disaster taking place, replacing/updating hardware and software licenses/upgrades, and conforming to the data regulation compliance procedures. A backup system is vital, especially off-site backup, but that alone isn’t enough to cover you in the event of a disaster – you also need to be able to recover your affected systems and apps quickly and have them running in a new, unaffected environment. Let’s look at some of the skills needed to create and maintain your own DR plan. 3) Simulate a disaster and test the disaster recovery plan in order to gain trust in it. This requires downtime to be scheduled, production operations to be taken offline and the testing of the DR site to be done while production is offline. 1) Inform affected parties and supervisory authorities about a data breach within 72 hours of it happening (in line with new data protection regulations). These are just a few of the skills to take into account. The reality is that planning, implementing and executing a successful DR plan is complicated for most companies, not to mention the demand on management and IT resources (and the costs). Fortunately, with the advent of faster communication mediums such as fibre and advances made in the use of virtual machine technologies embedded in some server operating systems today, backup companies are able to provide relatively cost-effective but powerful techniques to assist in DR planning, implementation and execution. IronTree Internet Services’ fully managed disaster recovery as a service (DRaaS) provides a full system backup, quarterly simulations and the capacity for a four-hour recovery time for as little as R1500 a month, and that’s without the stress of doing it yourself! 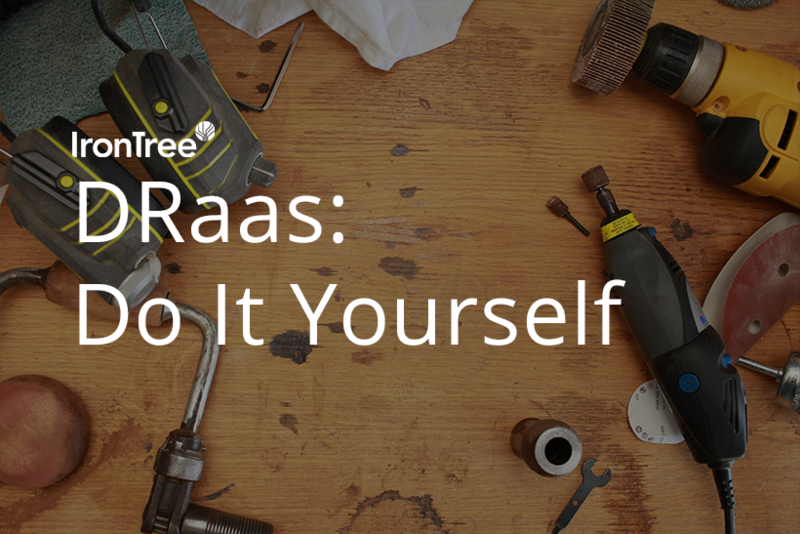 So, do a proper comparison when you’re weighing up the pros and cons of creating and implementing your own disaster recovery plan or choosing a dedicated DRaaS provider to manage that for you. When it comes to disaster recovery (DR), being prepared is vital. To ensure you are prepared, factor in the following key activities into your disaster recovery plan or use this as a preparatory checklist.